History: Anglia-Perfumery was founded in 2002 with the stated aim of revitalising precious treasures threatened by obsolescence, as some of the old traditional English manufacturers had started to "go with the times" and were discontinuing fragrances when demand slackened or creating new scents lacking in the essentials of the art of English perfumery. 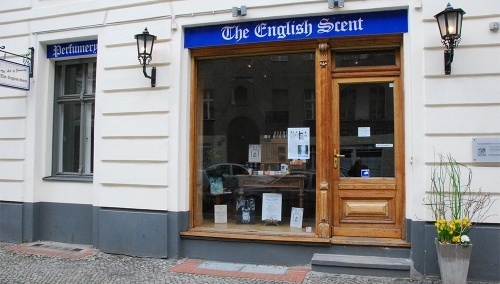 Anglia Perfumery has pledged to maintain the English scent tradition and commenced the range with formulae dating back to 1900: Royal Court and Imperial Lime. We revived and slightly revised some of Crown Perfumery’s discontinued fragrances and created new fragrances in the traditional English manner (Velvet Rose, Strand, Anglia, Amber, Richmond, Somerset and Patchouli, Queen’s, Isle of Man). A classic woody oriental fragrance by Anglia Perfumery with top notes of orange and bergamot, followed by sensual patchouli, cedar, sandalwood, heliotrope and jasmine on a rich base of amber, vetivert and musk. "Crown of Gold" is a crown in Anglia's perfume range: Green top notes are giving way to a heart of ylang ylang, jasmin, tuberose, rose and muguet on a base of patchouli, sandalwood, cedarwood, amber, tonka and oakmoss. "A perfume my dear mother wore in her youth. She asked if I could find her a bottle of it. She had not used it for decades. I found her a bottle of the original by Crown Perfumery and later found out it was still made by Anglia Perfumery(fortunatly as she still loves it). A very nice perfume fitting someone of her age(a lady in her 60's). Not something I would want my beloved girlfriend to wear as I don't find the scent befitting someone in her 30's. Very long lasting and quite heady. One spray easily lasts 8 hours on my mother. Edit: I procured a sample of Anglia Perfumery's Crown of Gold and they are identical to the Crown's version. Thank You Anglia." This outstanding recipe dates back to 1880. A fougere accord with pine, cypress, bergamot and spices is leading to a base of patchouli, leather, woods and musk. A strong, long lasting and timeless fragrance for gentlemen. An oriental woody floral fragrance for men. Combining incense, cashmeran, fresh woods, amber and musk with floral notes of gardenia, freesia and rose. Other notes include hints of vanilla, patchouli and vetiver. The traditional formula of Anglia Perfumery's Imperial Lime dates back to the 19th century. 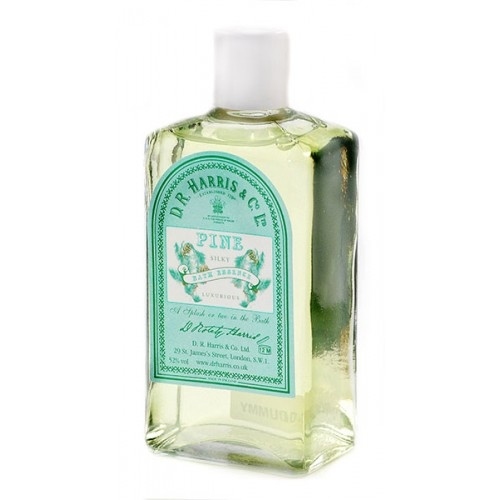 Refreshing citrus notes of lime, lemon and grapefruit combine with a heart of clary sage and lavender. The rich background comprises moss, patchouli and musk. "Isle of Man" by Anglia-Perfumery is opening with top notes of grapefruit, ginger, clove , nutmeg and green leaves, leading to heart notes of cardamom, pink pepper and orange, resting on a base of cedarwood and guiacwood. Anglia Perfumery's Marquis consists of top notes of clary sage, galbanum, lemon, lime and bergamot, intertwined with lavender, rosemary, angelica and coriander and refreshed with a touch of mint. The base is composed of precious woods, musk, amber and moss. Anglia Perfumery's "Oriental Flowers" is an Eau de Parfum with sweet citrus top notes leading to a lush floral heart of geranium, rose and lily on a base of musk, vanilla and woods. An overwhelming fragrance for ladies. A refreshing fougere, top notes of Sicilian lemon, cool green galbanum, cedar leaf and rosemary, resting upon a heart of lavender and warmed by a touch of nutmeg and clove. The base is composed of patchouli, amber, moss and precious woods. The top notes of Anglia-Perfumery's Patchouli Eau de Toilette combine fresh green bergamot and sweet orange oil, enhanced with floral effects of violet leaves, jasmine and stephanotis, blending skillfully to a background of musk, cedar, amber & patchouli. This floral fragrance with fresh green top notes enlivened by a body of rose, muguet, jasmine and ylang is set against a warm background of musk and amber. A truly queenly fragrance by Anglia-Perfumery. Anglia-Perfumery's Richmond Eau de Toilette for men is a light fresh bergamot & lime blend enriched with a floral heart of lavender, heliotrope and violet with hints of spicy clove which give way to an exotic base with warm woody cedar, amber, patchouli and musk. This floral, eccentric cologne for gentlemen and dandies dates back to Edwardian England. Top notes of orange, bergamot and lemon are set against a background of lilac, jasmin, rose and sweet musk. A true victorian tradition and a distinctive mark of a gentleman: Lavender blended with soft vanilla and lightened up with citrus, floral and oriental effects. Anglia-Perfumery's Sissinghurst starts with soft top notes and a musky woody accord, enhanced with a spicy heart and a base of precious woods and vanilla. Zesty lemon fragrance enhanced with bergamot and hints of lemongrass on a soft base of cedarwood. A truly fresh and uplifting fragrance for ladies. Also suitable for gentlemen. The fresh citrus top notes combine distilled lime oil and cold pressed lemon oil, giving way to bergamot and basil which impart freshness and elegance. Rich spices including nutmeg, cinnamon and cloves add strength and duration to this impressive fragrance. Strand by Anglia-Perfumery starts with citrus top notes of lemon, orange and litsea leading to a warm floral heart of lavender enriched with spicy nutmeg on a woody base. This velvety rose fragrance combines a fresh green floral accord of rose, geranium and ylang ylang with a twist of honey. Soft, smooth and heart-warming. Second to none. Anglia-Perfumery's Wedding Bouquet is a floral fragrance with a mixed bouquet of rose, geranium, jasmine, ylang, cyclamen, heliotrope, neroli and lilac. The base is woody with substantive, soft vanilla notes. A complex, overpowering fragrance, art over nature, love it or detest it.